Spoilers for Barry Season 2 Episode 2 follow below. Barry Season 2 is wasting no time pulling the rug out from under the audience. 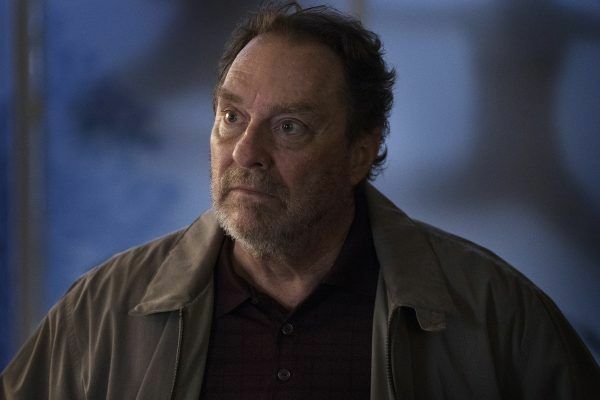 The season premiere ended with Detective Loach (John Pirruccello) following in Detective Moss’s footsteps and figuring out that Barry is very likely a murderer, and the second episode of the season ended with Barry’s longtime handler, friend, and terrible father-figure Monroe Fuches (Stephen Root) attempting to get Barry to confess to Moss’s murder while wearing a wire. Yes indeed, Loach is working with the cops. 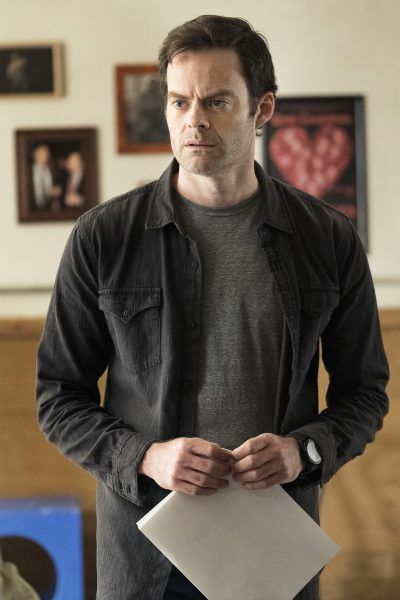 I spoke to Barry co-creator, co-showrunner, and star Bill Hader about the second episode of the season recently, and during our exclusive interview he offered some insight into how he and the show’s writers hit upon the idea that Fuches would turn on Barry. 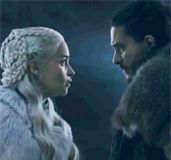 We also discussed the talents of director Hiro Murai, who helmed two episodes of the show’s first season and returned to direct the first two episodes of Season 2. Hader discussed Murai’s process, how they conceived of the assault on Esther’s compound, and what he’s trying to learn from Murai as a filmmaker. 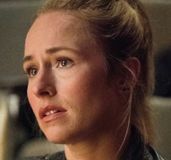 And given Barry’s moral crisis that’s looming large over these first couple of episodes, we also talked about whether Barry is a good person and how his emotional trauma is having a ripple effect through all the characters. Check out the interview below, and if you missed our exclusive breakdown of the Season 2 premiere with Hader, click here. Be sure to check back on Collider every Sunday throughout the show’s second season for episode-specific breakdowns with Hader. I really was struck by the assault on Esther’s compound. It’s shot in this really gorgeous, kind of haunting way and it’s also really tense. I was wondering if you could talk a little bit about working with Hiro on that and putting that whole sequence together. 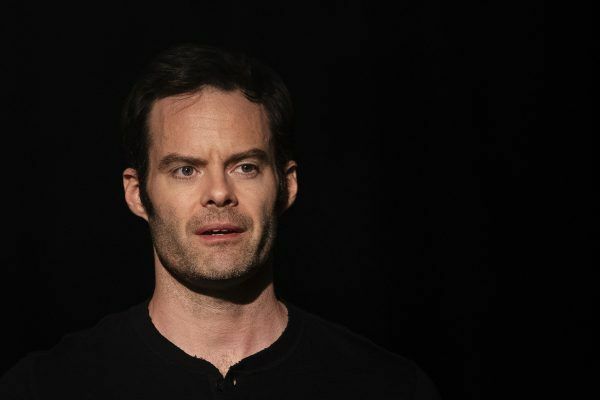 BILL HADER: Yeah, well, we said we wanted to do this scene where Barry has to go into Esther’s monastery to kill Esther and then the idea is that he decides not to do it, which ends up becoming more dangerous for him. I think I remember we had a tone meeting and I just said that it should just feel like a very holy place, like we’re in a very quiet, eerie, holy-type place and then Hiro just shot it in a super sparse interesting way, and I love how our cinematographer Paula Huidobro lit it. HADER: Initially we had the “Ba-rry Berk-man” chant over him. That was scripted but then Kyle Reiter, the editor, he kind of added those flash frames of the guys, and then we were in the edit room and it was like, “Oh, it was good to see Sally up there,” because she just said, “I’ll never be with a violent man again,” so, you’re just trying to make it like subjective flash frames. Kyle and I talked a lot about Midnight Cowboy and how they would cut in that movie. So we tried that there. But Hiro, he just has an innate ability—the simplicity of what he does is what’s so kind of disarming about it, you know? I mean, he has such confidence in what he’s doing that he knows he can get a lot through with very little. I told him “Oh, I think when Barry crashes the car that the camera should be in the back seat and that’s it. We just hold on that.” Hiro was like, “I think you want to come out, just to give us some context of where he is. Then we can always go back in and then you hear the guys coming as scripted, but I think you’re going to have to pop back out, so, I’d like to put a camera out.” I was like, “Okay, fine,” and man, he was totally right. We got to the edit and I was like, “Please tell me we shot the exterior and we didn’t listen to my idea” (laughs). And Hiro put it in. It was great. Initially that whole sequence when it was being shot, it had music in it. When we were in the edit I said, “Can we just see what it sounds like with no music?” And it just worked better. It was more shocking with no music. But Hiro, the way that he shot me coming into the room with all the monks in there, most people would have shot that with four different angles or the close-up and maybe a side angle and then close-ups of the guys looking at me and whatever. Hiro shoots it in two wide shots and then he’s done. He’s like, “I think that’s all you need to convey it.” And that economy and confidence is something that I definitely try to take a page out of his book if I can. Also, he’ll shoot with a little bit longer lenses. I tend to like wider lenses. Hiro tends to shoot more with a 40 and it just looks more elegant. I always say I’m going to do that and then I get all excited when I see the Artemis and I’m like, “Oh, let’s put it on a 27!” Because for some reason it makes it a little bit weirder, so you kind of feel like you’re in a comedy more. But I want to get that confidence that Hiro has to make it just look nice and elegant. That was one of my questions, what it was like working with Hiro, because he’s kind of gained this reputation as an auteur but we only really know him from kind of Atlanta and Barry and “This is America” obviously, but I feel like it’s hard to kind of like nail down his style. Like, I know what I’m watching is great, but I don’t necessarily know it’s Hiro until those credits come up. HADER: Yeah, I’ve just always seen it as just like he’s very instinctive, you know? I’m photo boarding like crazy and making sure that I know how everything is going to cut and all that, and then Hiro is someone that’s just very, very confident. But also, you know, he has really interesting lighting. It’s kind of low light. He always has these little beams of light in the background of every shot which is always really nice. I love the way the interior of the monastery looked, the way it’s lit. HADER: And again, it’s what’s not there that’s interesting. Instead of overdoing it, he just does the simple things and it’s way more interesting. 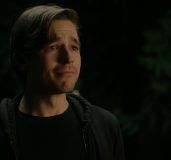 After the kind of assault on the compound, you feel the sense of relief that Barry got away and then he confronts Fuches and then you guys end on that really great twist that Fuches is working with Loach to try and take Barry down. 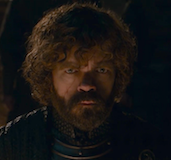 Can you talk kind of a little bit about how that twist came about and the construction of that scene? Because it really hits you like a gut punch. HADER: I remember we had the idea about the tooth and then Fuches would be arrested. And then it was like, “Oh, man, it would be so cool if he was working with Loach,” and then that’s the thing that you kind of as a group decide, like, “Well, that is a big twist. So that should be at the end of the episode.” And then you start writing kind of backwards from that. At the bottom of the white board you’ll write “Fuches and Barry” and “Fuches working with Loach” and you don’t know how you’re going to get there yet, but you know that’s where it’s going to end up. And then that scene by the pool at the end, poor Stephen Root, he had a version of it and we rehearsed it. Alec [Berg] and I both were like, “Oh, this isn’t working as written.” You know, he was mad about the wrong thing, like it wasn’t what it should have been about. So, Alec and I went to Stephen, got on his laptop and rewrote it. Then we didn’t have a place to print it out so I just took a picture of the script page on my phone and texted it to Stephen so he could learn his lines (laughs). But yeah, it wasn’t landing right. But you know, you get that and you put that Khruangbin song at the end which is really cool. It’s like all these things kind of come together to create a moment. Stephen’s so good this season. HADER: Oh, God, how funny is that? One thing I was really considering throughout Season One was, is Barry a good person? In this episode, he straight up asks Hank that question. And I was just curious from your point of view as the actor playing the role and the co-showrunner, do you personally make a value judgment like that? Like when Barry asks that question, do you have an answer in your head? And it has this kind of ripple effect throughout the show because Barry asks the question which means he’s thinking about it, but then he kind of does everything he can to avoid talking about his war experience which may be a key towards that question. And then, it snowballs with Gene who is initially refusing to look inward as well when it comes to his son. HADER: Yeah, everyone having the same problem in a way is like, “I can’t look inward or I’ll be toast.” I do like that we kind of made Barry’s problem everyone’s problem this season. 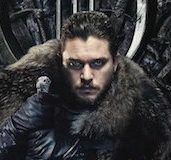 Yeah, I think as I said to you in our other interview, it’s a very thematically driven season and I like that it all kind of echoes each other. HADER: Yeah, no, that was very conscious. I was also curious about Gene’s son who you introduce in this episode. Can you talk about the creation of that character and what you guys were kind of looking to do with the introduction of him? HADER: Well, initially Gene had a wife. It was going to be an ex-wife. We were writing Episode Four, and something happens in Episode Four that Liz Sarnoff, one of our writers, made an observation and we said, “Well, gosh, it would be great if Gene had like an ex-wife.” So, initially we wrote that it was an ex-wife, but the scene wasn’t really landing and it wasn’t working. So, then I was like, “Well, it is about Barry being stuck between these two fathers. What if Gene’s thing was that it was a son?” So, like Gene’s actual son and he had left him behind and not been there for him because of his own narcissism. So, that’s how that kind of came together. 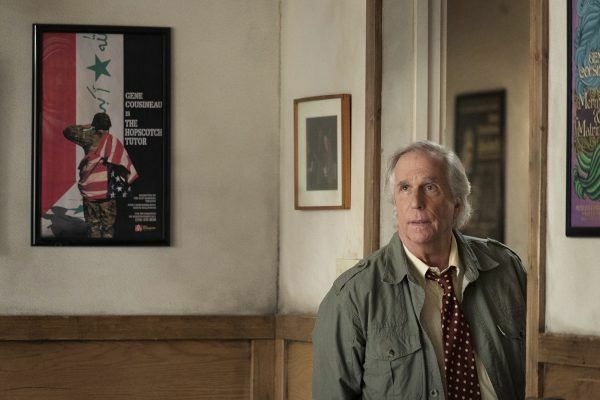 Barry airs on HBO on Sundays.